As the dependence of nonprofits on high-net-worth individuals has increased, so too have the abuses that this power asymmetry brings. Give a bit here, exploit a bit there—who knew we were all keeping score? Yatooma works for Charity Motors, a 501c3 with annual revenue in the $6 million range. He’s not just the 12th-highest-paid nonprofit executive in Detroit, with compensation of $263,585; he also chairs the board. Some ALS patients are unhappy with how the money from the Ice Bucket Challenge is being spent, but the ALS Association says they are adhering to their mission. ScaLast month, we profiled the gap between the Sacklers’ business (which makes and sells OxyContin) and their philanthropy (which largely fails to address public health). But there is a connection of sorts, as Jonathan Sackler applies drug marketing lessons to promote charter schools. The common practice of companies currying favor with local politicians by writing large checks to politician-favored charities is coming under increased scrutiny. It just muddies the accountability stream when an executive director sits on a board, advises the Ethicist. There is no need for that board membership, anyway; good nonprofit execs usually already have a boatload of influence. A billionaire doctor has a history of using a charity he controls to make money for his own business interests. 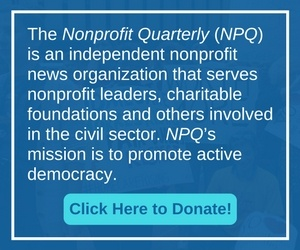 For some news sites, the dynamics of revenue have changed enormously over the past ten years as nonprofit journalism and philanthropic support have become more prevalent. There’s still the need to guard editorial content from revenue considerations, but it’s no longer as easy as building a firewall.